The frequency of cable strikes in Tithegrove has been too high. 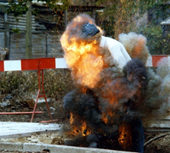 Striking cables creates a serious risk of harm – serious burns and even loss of life are potential outcomes. We need to do something different to eliminate avoidable strikes from Tithegrove activities. 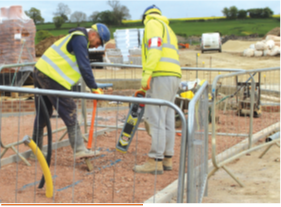 •	High risk excavations including around HV cables, ‘spaghetti junction’ service areas, high pressure gas and water pipes must use vacuum excavation unless not physically practical. This should eliminate the most serious risks. •	Migrating all Cat scanners to eCAT4 or gCAT4 to give us automatic recording of up to 2 years’ worth of usage data. This will help us improve operator use (mode, swing etc) and eliminate doubt regarding how the equipment was used should a strike occur. •	Be more rigorous on all sites about using and updating as built drawings of services. How Will We Know If We're Succeeding? Simply fewer cable strikes, as currently measured and reported monthly in our SHE stats.